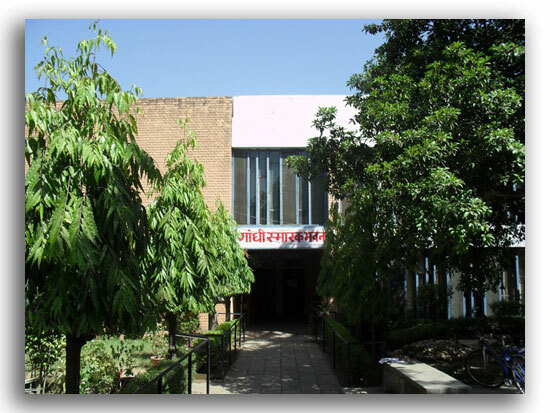 GANDHI SMARAK BHAWAN is the dream-child of the Late Dr. Gopi Chand Bhargava, the doyen of constructive workers in the state who also had to shoulder heavy responsibilty of the Cheif Ministership in the post partition Punjab. It was inaugrated by Dr. Zakir Hussain then Vice-President of India. It is being run by GANDHI SMARAK NIDHI PUNJAB, HARYANA & HIMACHAL PRADESH & since its inception is contributing its share in spreading Gandhian thought and Idealogy through Seminar, Meetings, Discussions and personal contacts. The Bhawan has a public library which has about 5,000 books on Gnadhi Ji and by Gandhi Ji and other allied subjects and national topics. Besides, there are about 18,000 selected books on such diverse subjects such as literature, History, Geography, Religion, Science and Sociology. English, Hindi, Punjabi & Urdu dailies, as well as large number of journals and periodicals, are also available in its reading room. There is a separate section of Children. It contain about 3500 books. There is adequate provision for outdoor games for children. The Bhawan has a separate publication division at its Head Office at Swadhyay Ashram, Pattikalyana in Panipat District, Haryana. 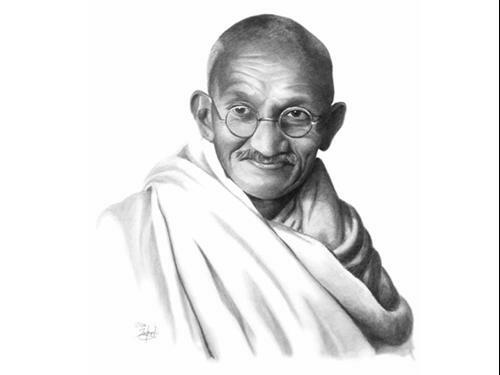 More than 30 books by Gandhi Ji have been published in Hindi, English & Urdu. The sale section has selected books on Gandhian ideology, health and other national topics. Discourses and Satsang by persons of spititual eminence are often arranged at the Bhawan, Seminars, lectures, symposia and talks on national and international issues are also held. In Bhawan a Naturopathy Clinic is also being run. In which we treat the body and mind by Nature-cure methods and Yoga in its purest basic form. The Naturopathy harnesses the self-curative forces, which are present in our body to help you move towards health and healing. We teach and treat you to lead a healthy natural life only in 10 days. We nurse you back to that happy feeling of fitness and well-being. We chalk out a special 10-day programme for every individual taking part in the camp on the basis of complete medical check-ups and pathological examination. There is alos arrangements of naturopathy teaching and consultation free of charge. To spreading the Naturopathy we provide the facility of certified course in Naturopathy. Gandhi National Academy of Naturopathy, New Delhi conduct the three year diploma examination. This examination conducts two times in year first in June and second in December. After passing the examination academy provide the certificate of NDDY. After the complete this course a person can become certified doctor in Naturopathy. Classes organised on every Sunday in morning 10:00 AM to 1:00 PM. From time to time we organize the camps on Naturopathy and Yoga in Gandhi bhawan. Our members provides the lecture in other institutions on the topics of Naturopathy, Gandhian Thought, Health etc. Efforts are being made to spread Gandhian principles in the public by personal contacts & lectures, the use of Khadi cloth is alos being encouraged by organising the sale of Khadi during Gandhi Jayanti period. Birthday of Father of the Nation and other national leaders also being celebrated.